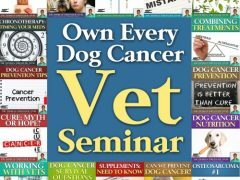 Learn about treatment and research for osteosarcoma in dogs with experts from the Ontario Veterinary College at the University of Guelph in Canada. 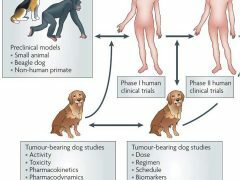 Learn the definition of comparative oncology research and why dogs are helping to find cancer treatments for people and pets. Three tripawd moms share their experiences on Tripawd Talk Radio and discuss canine bone cancer, amputation surgery, recovery and their dog’s life on three legs.